I spoke with WAKR’s Ray Horner yesterday about their reasons for doing do. HORNER: Joe, one subject that you and I have touched on for years is drug testing. DR. CONGENI: I wondered if you might go there. HORNER: Drug testing in high schools – you’d like to see it go there – but it’s a very expensive endeavor and you don’t know how they can control it. I did see that letters went out in the last week from St. Ed’s, St. Ignatius and Gilmour Academy that said they’re going to start drug testing at their schools. What are your initial thoughts on this and is this the beginning of something bigger? DR. CONGENI: Well this is definitely bigger than sports. This is for all students – recreational drugs, drugs of abuse and performance enhancing drugs. They aren’t breaking it off into just athletes. They’re looking at everybody. In teenagers in high school, and even down to the junior high school, there’s been such a rapid rise in deaths from drug overdoses. The opening of the gateway of different drugs – starting with recreational drugs and going on to heroin and other things – there’s so many things that afflict young kids. The approach they’re trying to take is that they want to do this for the wellness and benefit of their students, not for the punitive (effect) or to punish people. From that standpoint it’s a little bit different from what we’ve looked at before. With athletes, are we trying to pick up performance enhancing drugs so the playing field is equal? Boy, has that been a failure when it’s been tried. With this, they’re looking at testing drugs across the board – recreational drugs, drugs of abuse and other things as well. HORNER: But it would affect athletes. DR. CONGENI: It would affect athletes. HORNER: So I guess that’s Pandora’s box being opened up now. With that testing being done, athletes would be affected. I know this is expensive, but is this something that maybe we’ll see more and more schools do in years to come? 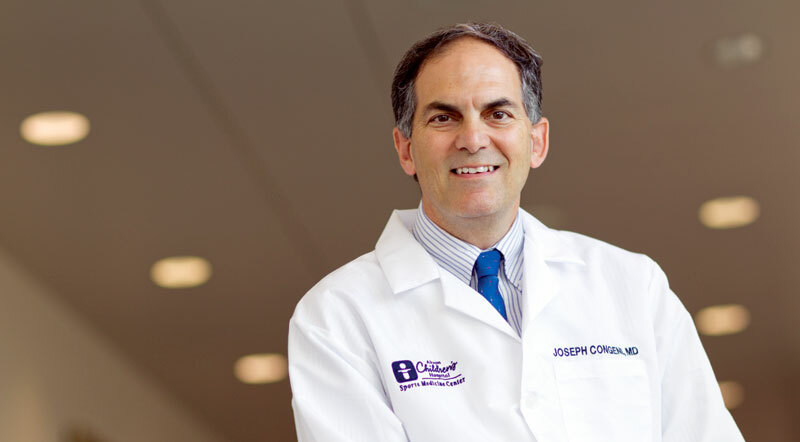 DR. CONGENI: Everybody’s going to be looking in. I wouldn’t be surprised in the next few months if you hear a few other people jump on board. A little bit of the difference – because you and I go back so long – is that this is a newer technique. This technique actually has a reflection of a longer period of time – up to 3 months later – it can still pick people up using the hair on your head actually. It’s a much easier testing and it might be a cheaper (way of) testing. The big entanglement when they looked just at athletes and the playing field part for performance enhancing drugs was there were a lot of legal issues that came up. Almost every case where they found something and tried to punish people, there were issues of lawsuits and other problems like that. I’m going to be very curious to see how they’re going to handle that and what will happen with the first offense, the second offense. I know they have to have all that stuff in place by now for sure. The approach is different and I like it. It is more of a wellness approach rather than a punitive approach. The second thing is the newer testing seems like it might be cheaper and more accurate. In those two ways I’m kind of excited to see what happens. HORNER: Are you concerned about performance enhancing drugs at the high school level? DR. CONGENI: I’m concerned to some extent about performance enhancing drugs at the high school level because we know that we’ve had no way of monitoring this over the last several years. We know that it had a deterrent effect in the college and pro setting when we were able to start drug testing. But the playing field is not always equal. You and I spend a lot of time on the playing field and there are times I can definitely see that it’s there. You might ask me is it 5 percent? Is it 15 percent? Is it 25 percent? That’s a little harder to say. I’d say it waxes and wanes at times, but is it there? The answer is yes it is. HORNER: Well a lot of people are going to be paying attention to see what these schools are doing across the state. It will be interesting to see how it all shakes out. DR. CONGENI: No doubt. Boy that was a big step yesterday. I will be very curious Ray. HORNER: Alright Joe thanks for coming in. Always appreciate it. 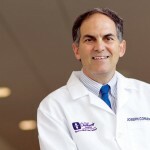 HORNER: Dr. Joe Congeni from the Sports Medicine Center at Akron Children’s Hospital. 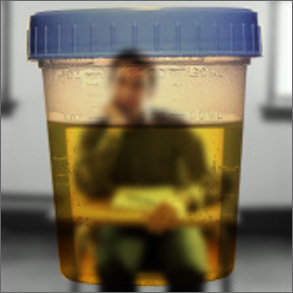 drug testing in schools should not be done w/o a warrant and ijn front of parents w/ the parents approval. the school should have concrete evidence (other than grades which can suddenly go low for many reasons) proof should be video, the child SEEN by teacher, teachers or hall maonitors of a drug transaction! should not be done (drug testing) on a whim or i think or lets rule out policy.